So began a powerful polemic published in the New York Times last month by Eskinder Nega, one of Ethiopia‘s best-known journalists. Last year, under sweeping anti-terror laws used to silence critics of a repressive regime, he was given an 18-year sentence for daring to write about the Arab Spring and suggesting something similar could happen in his own country without reform. Nega has been imprisoned nine times for his journalism. His wife has also been locked up, forced to give birth to their son behind bars. Their case highlights how Ethiopia might be a donor darling of the west, but it is run by a ruthless government that does not tolerate dissent. Journalists are routinely jailed, while dozens more fled the country and scores of papers have been shut down – 72 over the past two decades, according to one estimate. Nega’s courage and incarceration highlight the dangers of journalism in parts of Africa, where in too many places dubious laws, deadly violence and direct intimidation are used to stop investigations and stifle criticism. In countries such as Somalia and Zimbabwe, dedicated reporters doing their job risk their lives and liberty daily; last month, I worked with a journalist in Harare who constantly checked his car mirrors for security squads. You might expect the continent’s media owners and managers to take a strong stand in defence of media freedom. Instead, they have decided to hold their flagship annual convention – the largest such gathering in Africa – in Addis Ababa, just a few miles down the road from where journalists languish in jail. The African Media Initiative (AMI) – which has been handed British aid in the past – naively calls this constructive engagement, ignoring the reality of a one-party regime renowned for its rigidity. The AMI brushed aside complaints from exiled Ethiopian journalists. Zerihun Tesfaye, one of eight staff on a paper forced to flee overnight after threats from security forces, told me the decision insulted all those fighting tyranny by rewarding a country where independent journalism is equated with terrorism. He is right. The AMI also ignored concerns from the New York-based Committee to Protect Journalists, which held meetings with organisers after complaining about the Ethiopian regime’s “iron grip on the media and hostile rhetoric against press freedom“. The obstinacy of an organisation claiming a mission to empower citizens to hold governments to account is tragic; the event is even called, with no obvious sense of irony, Media and the African Renaissance. Not only does its complicity with such an authoritarian state betray those working for their publications, websites and stations. It also fails a continent in which both professional and citizen journalism is playing an increasingly crucial role in civil society despite cash restraints and often-challenging circumstances. Many parts of Africa remain a difficult place to be a journalist, whether for financial, legal or security reasons. It is easy to list the bad examples: Nigeria, where the authorities continue to use coercion against reporters, responsible for more than 90 cases of assault and intimidation last year alone. 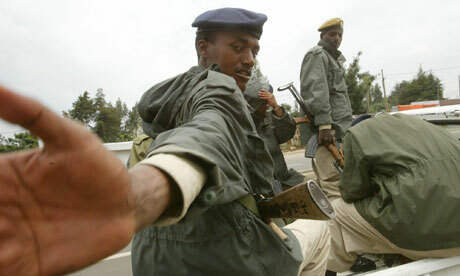 Eritrea, the most censored country in the world, with close to 30 editors and journalists held in secret prisons. Or supposedly-democratic Zambia, where independent websites are being blocked and their staff harassed. But there are also little-heralded causes for optimism, and not just in nations such as Mali, Niger and Senegal that have long enjoyed a lively media; indeed, the media in Mali’s capital Bamako remained unshackled even after last year’s coup. Anti-media laws have been rolled back in Malawi and Uganda, while technology is liberating a generation of new voices even in some of the most perilous places. The recent election campaign in Zimbabwe was enlivened by an anonymous blogger revealing a stream of sensitive government gossip, infuriating Robert Mugabe. Many of the issues confronting the media are the same the world over, with tight resources and tussles over state control. But after suffering so badly as a result of colonialism and collateral damage from the cold war, Africa needs strong voices to shape its own narrative and shrug off the old stereotypes as it emerges into a more peaceful, prosperous future. Instead of cuddling up to states seeking to silence such vital voices, media owners and their managers should be fighting for free expression and standing by brave journalists risking everything for their job, their causes and their continent’s future.